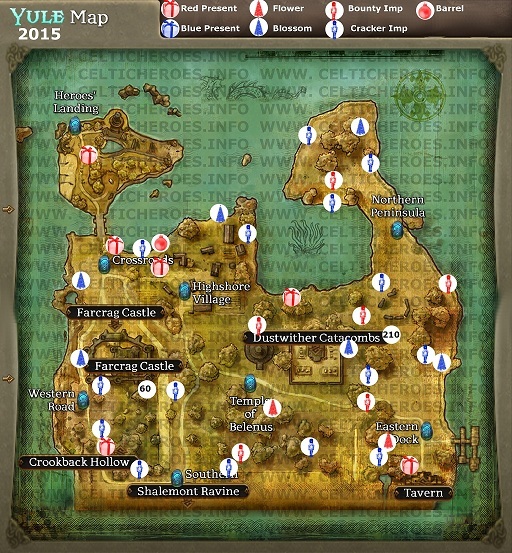 This is your guide to the Yule 2015 Winter event in Celtic Heroes that started December 16, 2015 and ended May 2, 2016. I'll be showing you new bosses, quests, chests, luxury items, mounts, fashion, and mobs along with maps and info about each part of the event. Yule is the Winter event that falls between Samhain (Fall) and Ostara (Spring). This event introduces the arrival of the Monolith of the Blight Tomb, sent by the evil god Taranis. 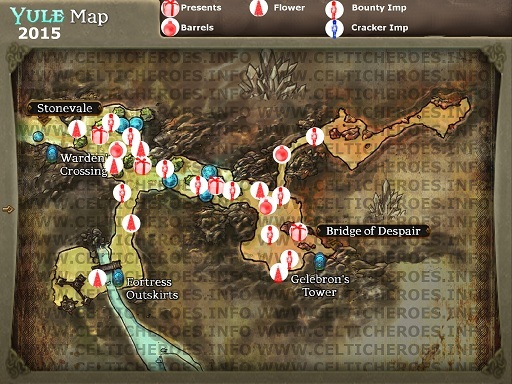 • New User Interface tells you quest rewards as you get them. 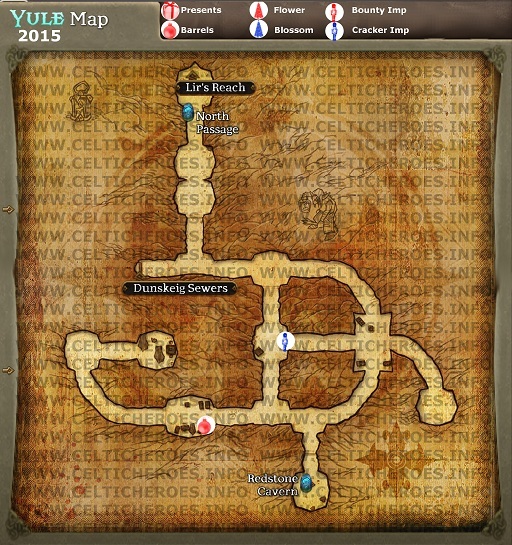 • New Quest Page tells you what rewards you are questing for. • Brand new Stonevale quest line explores the Imp invasion. 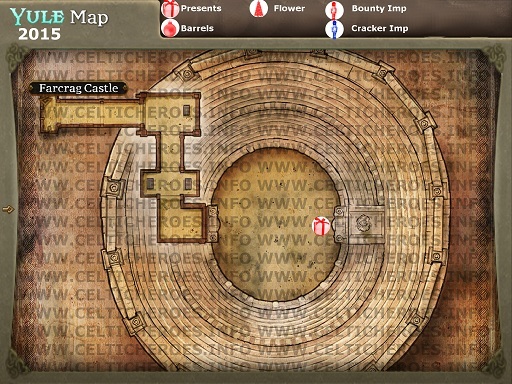 • Explore the Abandoned Pier in Lir’s Reach and defeat its ghostly denizens. • Proteus has spread his evil in the Arcane Sanctum. Defeat him for new loot drops. • Reworked starting experience to aid new and returning players. • Winter Lux in three tiers for the discerning adventurer. • Fight the Monolith of the Blight Tomb: Evil god Taranis’ bane of Dal Riata. • Quest for Jalen Gaylewynd. 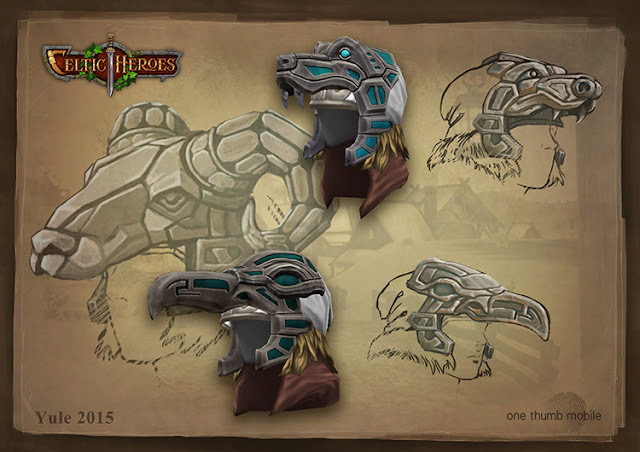 Gather Cranfir Crackers from the Slategrit Thieves to receive an Eagle Crest. • Find Red Cranfir Presents to aid Tira Snowfeld, who will grant you a Flight of Guarding. 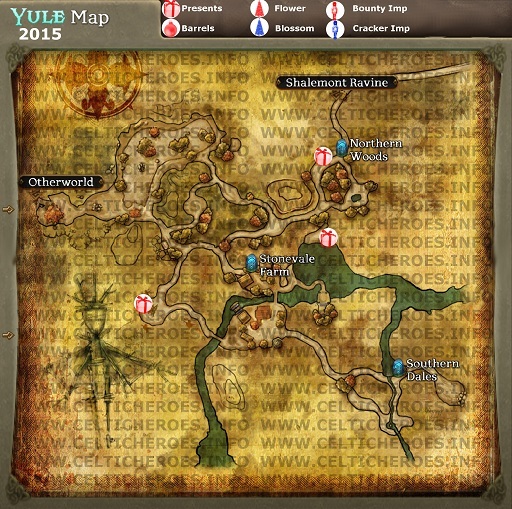 • Engage in over seventy new Yule bounty quests. There are 4 Monolith bosses this event. Each encounter is the same, but with more difficulty as the boss level gets higher. They come in 5* and 6* difficulties. The 5* Obelisks drop one item, and the 6* Monoliths drop 3 items. 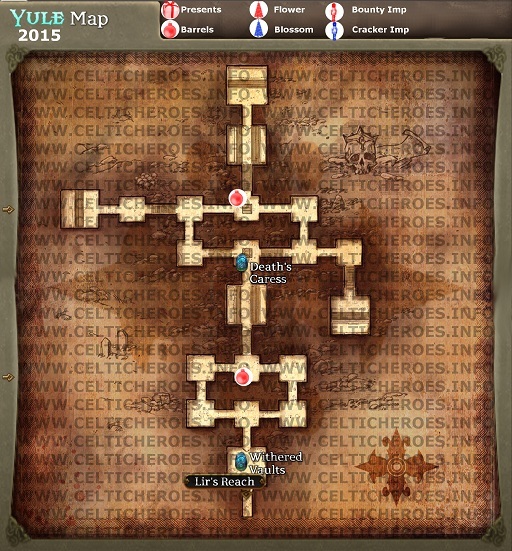 See the map in the hat quest section below to see boss locations. 210 respawns 5 hours after he was killed in a 5 minute window. 160 respawns 3 hours after he's killed. 110 respawns 2 hours after he's killed. 60 respawns 1 hours after he's killed. 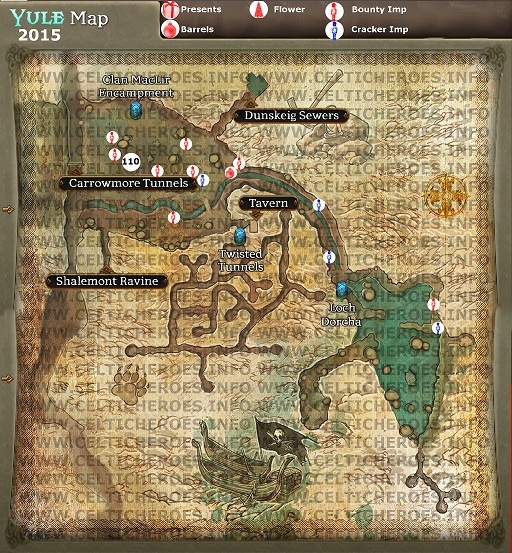 SEE THE MAP BELOW FOR EXACT SPAWN LOCATIONS! These bosses drop weapons, rings, and bracelets. There are three tiers of drops that each boss can drop. 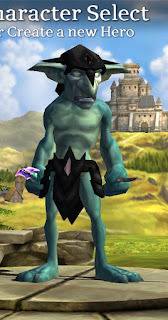 There are Slategrit Ice Imp mobs in multiple zones around the world that correspond to special Yule quests and bounties. 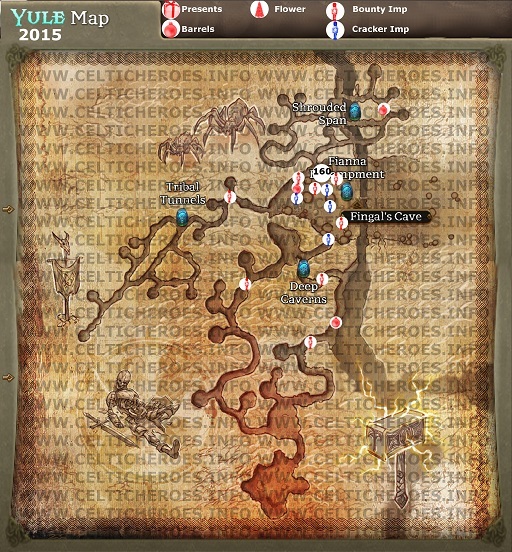 See the map below for mob locations. There are over 70 new Yule Bounties added, where you need to collect flowers, destroy barrels, or defeat Ice Imps around the world. 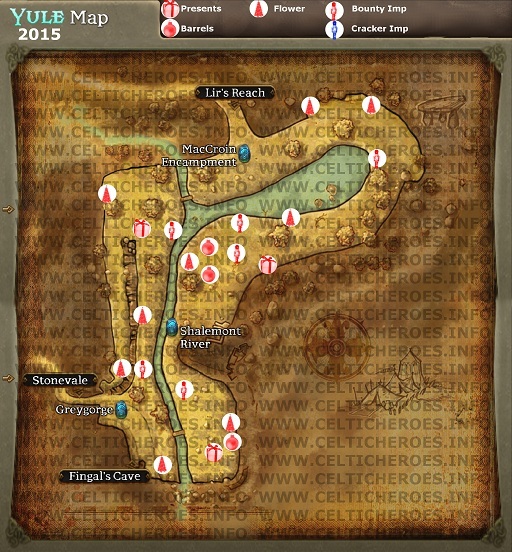 See the maps below for more details on their locations. 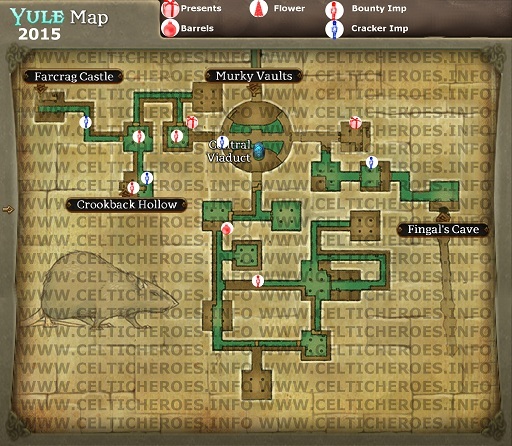 These quests start at Tira Snowfied at the castle fountain, and have you gathering different color presents from Farcrag Castle, Lirs Reach, Shalemont, Stonevale, the Otherworld and Dunskeig Sewers. 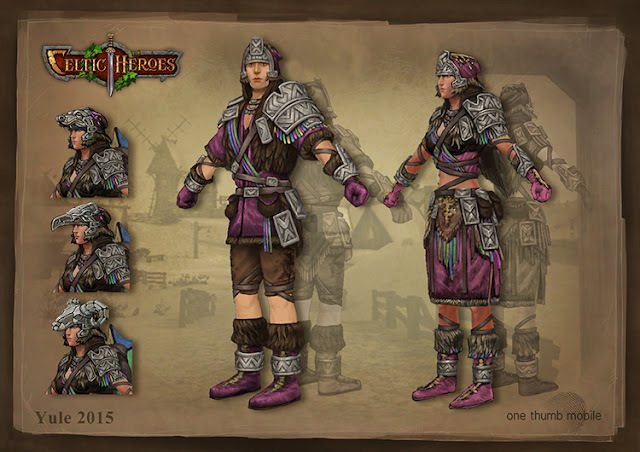 The flights of guarding are kites that give you a temporary armour rating boost. 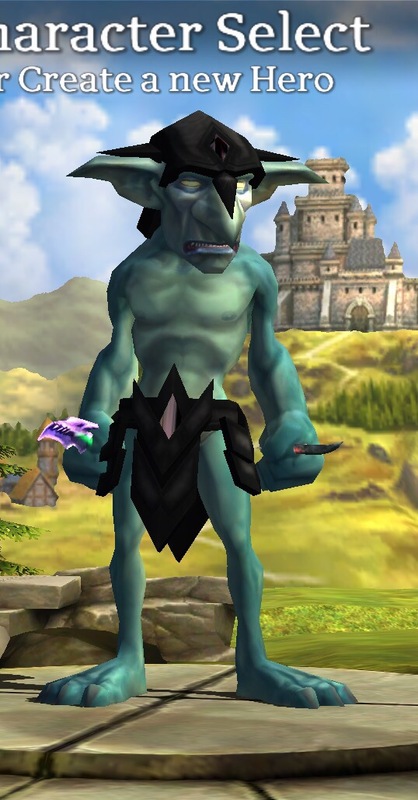 You can purchase the Frostbreath Mystery Chest from the Item Shop. It could grant you Cranfir Spirit Horses, Sacred Auroral fashion, Sacred WIndgliders, Grovehawks, Imp charms, Cranfir Crests, heroic elixir bundles, up to 4000 platinum, and a grand prize of two million gold! Remember, The Frostbreath Mystery Chest is only available during the Yule 2015 event! The wind caught the snow atop the roof of the great hall and Janek watched the glistening flakes glint in the sun as it fell, sparkling with the rainbow colours that danced across the night sky during Yule. He loved this time of year, cold and bright, the winter storms raging in the valleys of Dal Riata beneath them whilst the tribe scoured the peaks hunting game. The Dor-Keln Mountains never dulled in their splendour, yet the life here could be bleak and the tribe oft worked in union to survive the harshest blizzards, arriving without warning and gone in moments, or staying for days upon days. He trudged on with a grin on his lips and came to the centre of the settlement; Cranmore’s pride and joy. The ancient grove, which grew from a cutting of the legendary great tree Irminsul and the burial tomb of the first of the gods, Eiocha. The bows of the great trees stretching out across the whole of Cranmor, a salient part of each abode, spreading the goddess’s mythical energies throughout the tribe. “As the tree, we stand sturdy”, so the legendary founder had said and the Cranfir Tribe held this strong to their hearts. He turned to see Tira Snowfeld before him, a wisp of her hair escaping from her hood and blowing with the wind. “My Lady, why so formal?” His grin slowly fading as he saw the pain in her eyes. The cackling grew louder as Onora was dragged unceremoniously towards the flickering light of the imps subterranean chamber, her feet and hands bound by crude ropes, the last survivor of the Harfor Settlement. She still struggled against her captors, her sheer strength meaning at least six imps needed to control her at any one time, and she took faint pleasure in the bruises and wealds she had left on their bodies when she had kicked out, felling some and slowing the whole procession. Yet as she was finally dragged into the vast cavern she stopped, shocked by the sight that greeted her as the longstanding enemies, the Icewind and Slategrit imps, were sharing in the spoils of her village. Smashing and destroying the valued grovehawks and greedily snatching at the cured meats and refreshments that their settlement had gathered for the harsh winter months. An imp chieftain leaned over her, his foul breath causing her to revolt away from his glaze, gagging slightly. The gibbering laughter that followed was something she wished to silence and she struggled against her bonds, feeling them give slightly. Onora looked shocked and the chieftain saw it clearly. High - The Bridge of Despair Leystone. Each one gives a little different bonus, such as hp/energy regen. 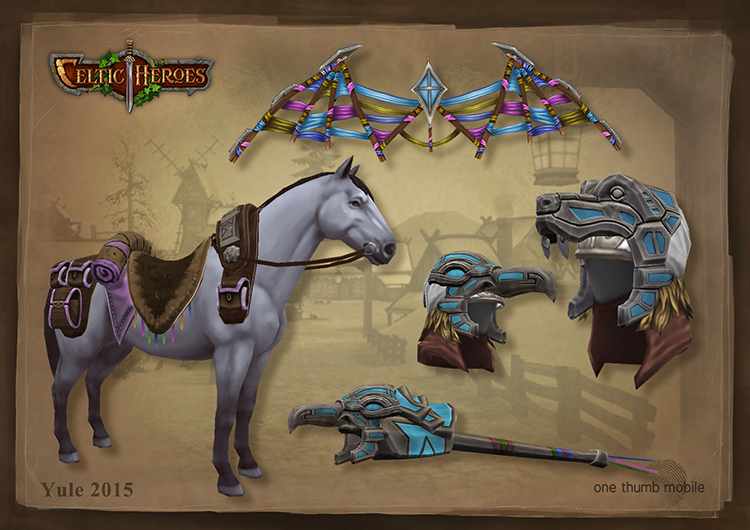 Horses are also equipped in the weapon slot as 2 handed. They use novelty ability. 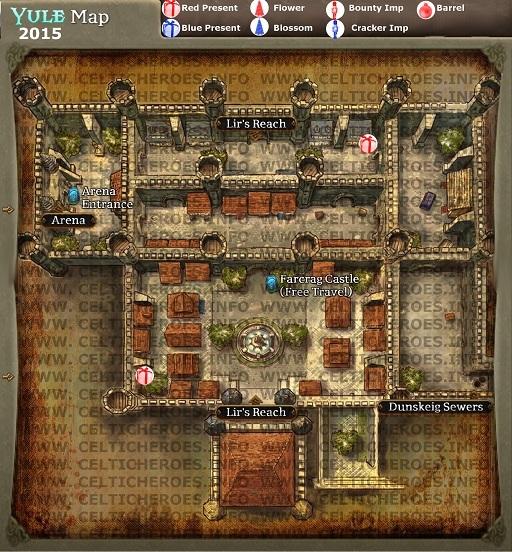 Open beta testing for this event was from November 13 to 16, 2015. 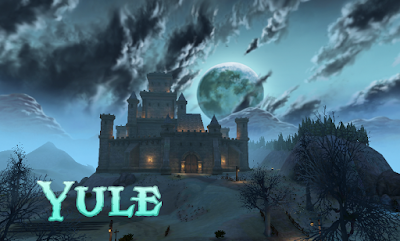 Yule was released to Android users on December 16, 2015. 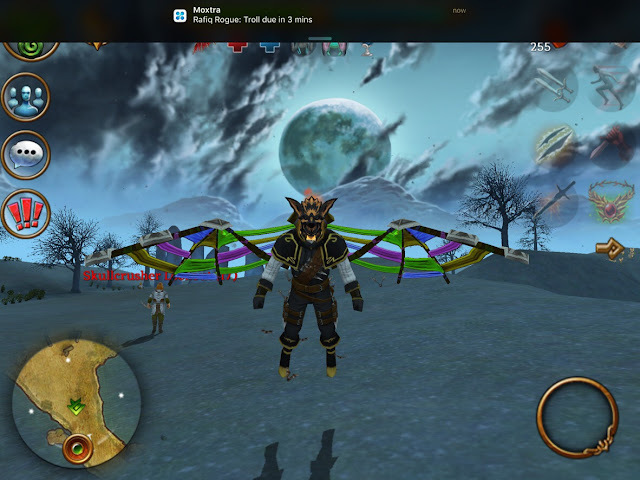 Yule was released to iOS users on December 21, 2015. The beta servers were brought up for testing the weekend of December 4, and were accidentally left online for the weekend, allowing testers to log in. They were turned off again Dec 7.